I couldn’t agree more, Alice. There is no one quite like Doug…his story draws you in and keeps you reading from cover to cover. 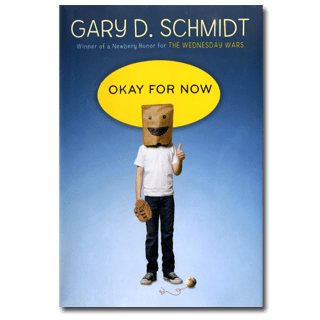 Gary Schmidt has a way with words and amazing characters. I have loved each of his books, and look forward to anything new from him. Thanks for sharing your love for Doug with your readers. He is a wonderful young man! I love a good book recommendation. And a character you can cheer for. Especially one who draws (I’m a children’s book illustrator). My six year old has redraw the bird illustrations from Feathers for Lunch several times, which makes Doug sound particularly intriguing to me. Some of the best books I’ve read this year were written for the Young Adult market.